Sorts a Shape data set based on a single column in ascending or descending order. 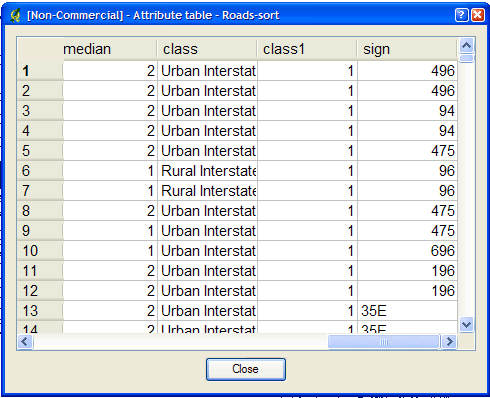 Supports INTEGER, DOUBLE and STRING column types. Useful for prioritizing shapes for rendering and/or labeling. The idea here is that if you know that you need to display a certain attribute classed by a certain value, it will be faster for MapServer to access that value if it is at the beginning of the attribute file. 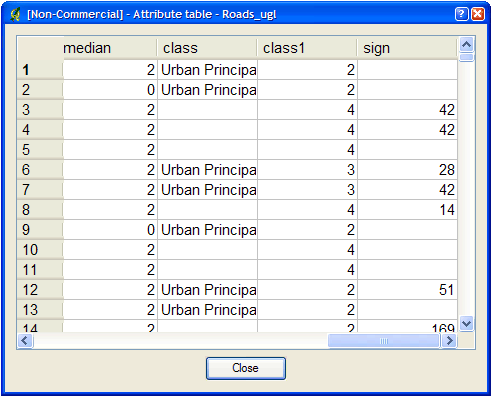 This example uses a roads file (“roads_ugl”) that has a field with road classes in integer format (“class1”). A new Shape data set named “roads-sort.shp” is created with shapes sorted in ascending order, according to the values in the “class1” field, as shown below.